Arcade Fire (last seen in DC in 2014) returns on September 16th to the Verizon Center! They are on tour (the Infinite Content Tour) for their new album, Everything Now. The album, their fifth, was only released a few days ago (July 28th), so I haven’t had to a chance to listen to many of the songs. It’s been four long years since Reflektor came out. The first single was “Everything Now” and reached #1 on Billboard’s Adult Alternative Songs chart. The song exudes a little disco vibe and has a pan flute solo! 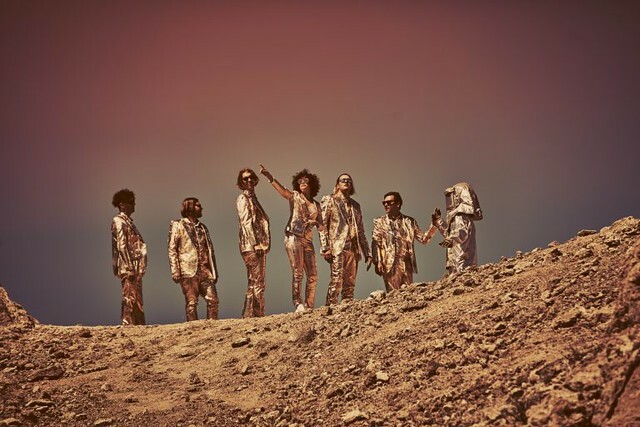 By way of Canada, Arcade Fire is an indie rock band composed of Win Butler (lead vocals), Régine Chassagne, William Butler, Richard Reed Parry, Tim Kingsbury and Jeremy Gara. I just realized that I’ve never seen Arcade Fire live; I had a chance to see them at Lollapalooza 2010 (in Chicago, IL) but instead went to see the band they were scheduled against (the primary reason I went to that festival) – Soundgarden! So it’s time to give them a listen live! Tickets are $26 and up. Doors open at the Verizon Center at 6:30pm. Show at 7:30pm.